Presently, I’m in my mid-twenties and never fail to be complimented for my ‘healthy skin’. Each time I receive a compliment I feel exactly how any Miss World must’ve felt while she was being crowned (I also internally do a happy-spastic dance!). Only because, as a teenager, I had quite bitterly given myself the title of ‘Pimple Queen’ at the age of fourteen all through till seventeen. Those three years had to be the toughest when it came to feeling insecure about the way I looked because of my atrocious acne. There was a time where my bathroom could’ve been mistaken for a mini skin-care shop with the number of products I would experiment with to find the skin-care key to flawless skin. Turns out I did find the products which made my skin rejoice and sing hallelujah! Till to date, those very skin care products are what I religiously use and never have they disappointed me. To everyone struggling with their skin care regime, here’s your 101 on how to combat that ‘eww oily skin’ and evolve it into ‘the ultimate glow-up’ by yours truly, Ex-Pimple Queen. Everyone prone to oily skin is fully aware how pimples love surprises; they especially like to pop up when they’re least wanted at special occasions (exactly like unwanted relatives!). For such unwanted skin ‘guest appearances’ the DermaClear Collection is your ultimate go-to product! 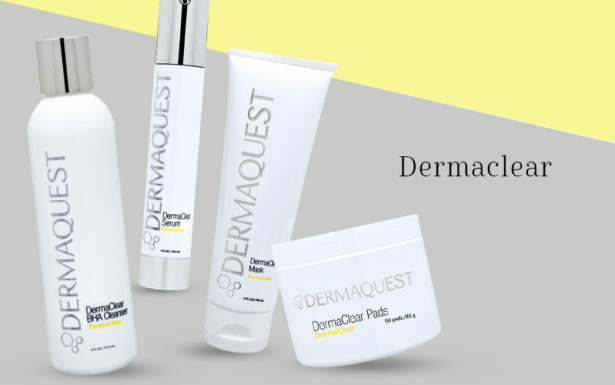 The exclusive DermaClear Collection is formulated to combat the many stages and types of acne. Whether you’re prone to breakouts or simply need to correct a spot, the collection offers a variety of products blended to prevent, quell and alleviate the myriad symptoms of acne. If you’re seeking a skincare line that’ll battle your acne left-right and center, the DermaClear Collection including the ultimate four DermaClear BHA Cleanser, DermaClear Mask, DermaClear Pads and DermaClear Serum is your absolute must-have! 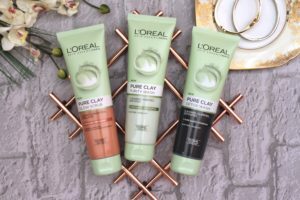 L’Oréal products are highly effective and show results instantly, though they have had plenty of face masks that I personally used in the past years, my current must-have is their Purifying & Mattifying Pure Clay Mask. Infused with the ultimate three clays; Kaolin, Montmorillonite, and Moroccan, the Eucalyptus clay is the additional magic ingredient to draw out built-up of dirt and oil. Bye-bye shiny face! In the time and age of chemical infused skin-care products, the Ayurveda’s herbal tradition provides a complete range of proprietary formulations that create the pharmaceutical-grade ayurvedic Himalaya Herbals products. 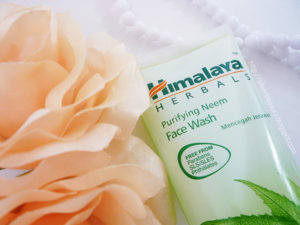 Every time I step into the skin-care section of any drugstore I cannot help but be magnetically pulled to the Himalaya Herbals Neem Facewash. The soap-free gel face wash consists of the herb Neem which is well-known for its purifying and antibacterial properties. Combined with Turmeric, the two herbal properties help control acne and pimples allowing the skin to be thoroughly purified and clear. Battling pimples is not any less than going to war, and let’s face it every warrior bears battle scars. Despite being conquered, pimples leave behind stubborn scars that cause your skin’s overall complexion to look dull. 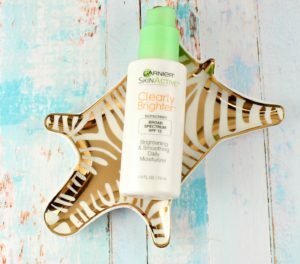 The Garnier Clearly Brighter Moisturizer is the ultimate weapon to slay those rigid battle scars. Infused with antioxidant properties, the product allows your skin to have a chance at being brighter, exfoliated and smoother with dark acne scars visibly growing lighter over time. What are you waiting for, time to detox your skin to a brand new brighter future! Hira Hyder is a Journalist Intern with Eligible Magazine who strives to be the voice for those who struggle to voice themselves. She does not hesitate to say what needs to be said and explores essential topics that are assumed to be ‘mundane’. 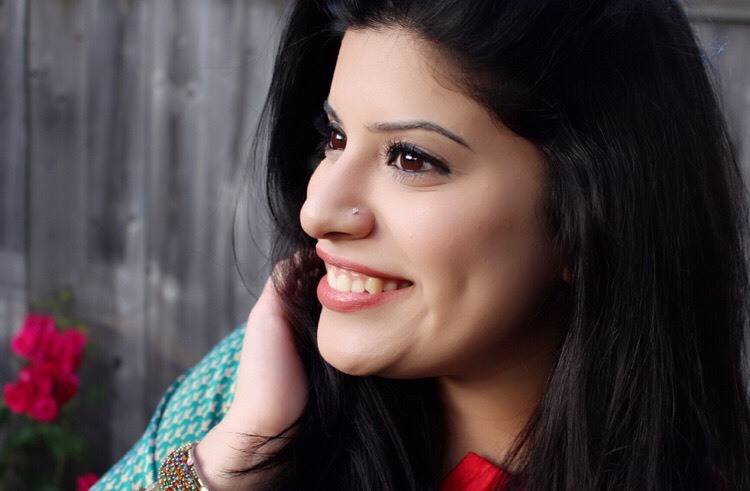 Hira believes that any obstacle in life can be battled by the right amount of spirituality, positive energy and chocolate! She loves communicating with people; when she’s not talking to them, she’s writing to them! A Guy’s Guide That Hits The Spot!